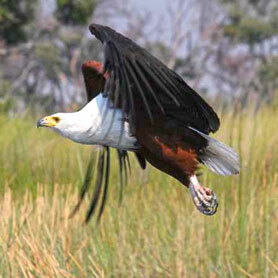 David and Robyn also offer tailor made adventures into the renowned wildlife areas of Botswana. Using private tented camps, David will take you on a tailor made journey into any of the renowned wildlife areas of Botswana. With his passion for the wilderness, its wildlife and birdlife, he will bring the bush alive and provide you with a lifetime of adventures. Whatever your passion you can explore the country with him on horseback, by vehicle, on foot, by boat or canoe. 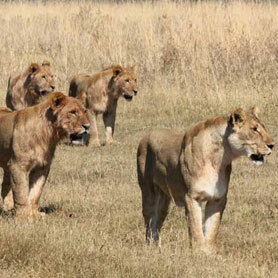 When not on horseback some of his favourite safaris are the Selinda Canoe Trail and the Spirit of the Delta, or you can try a walking safari or a 4×4 private safari. 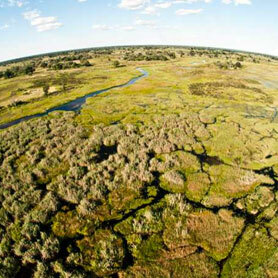 By vehicle we can access all of Botswana’s vast wilderness areas and national parks – the edges of the Okavango, the Central Kalahari, the Chobe River, the Kgalakgadi and the great salt pans of the Makgadikgadi – all of which abound with wildlife. 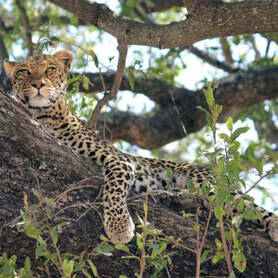 To walk through the African bush absorbing every sound, following the spoor of the wildlife that has recently moved through and with every sense on high alert is an experience that will grab your attention. David knows some very special spots for you to get away from it all. Over five days, we canoe some 45 kms along the Selinda Spillway, which meanders through one of Botswana’s richest wildlife areas. Paddling this wild country we maintain a watchful eye on the resident hippos, leave the canoes to track on foot and enjoying the rich birdlife. For the ultimate Okavango Delta experience take a boat safari deep into the heart of the Delta aboard specially crafted expedition boats. On this adventure follow crystal clear waterways and enter secret lagoons under the watchful eyes of the resident hippos and fish eagles.